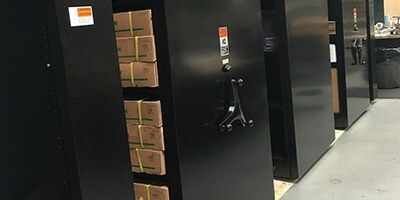 For Facilities Where Items Are Moved By Hand. 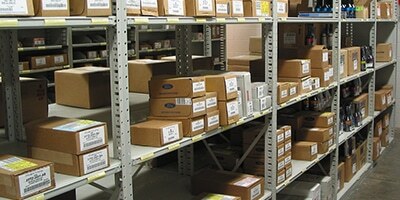 For companies looking for an affordable, simple storage solution, boltless rivet shelving is often ideal. A standard unit consists of posts, horizontal beams, and decking. 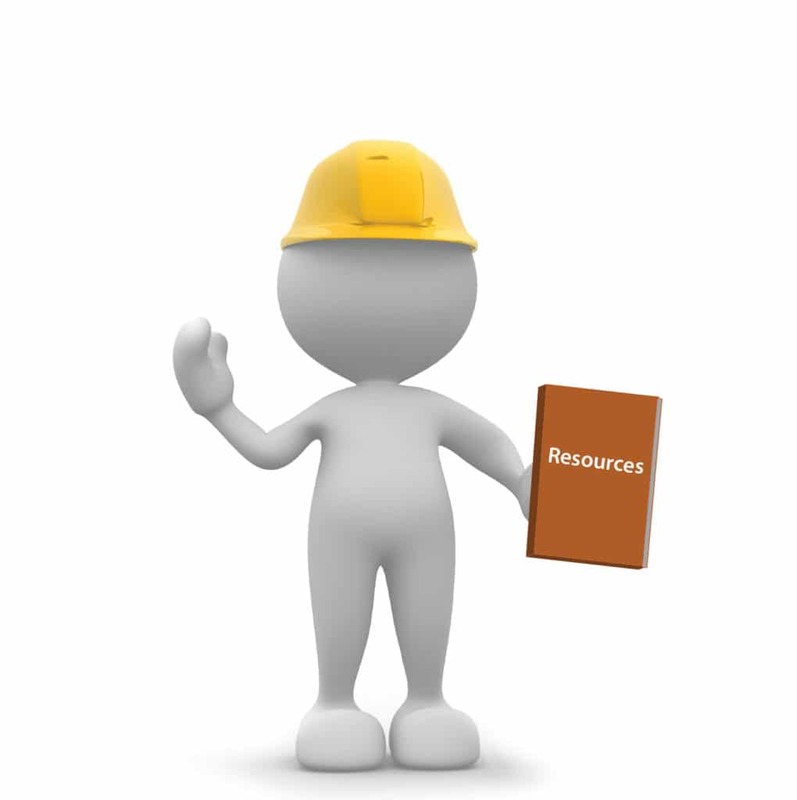 It is easily assembled and does not require nuts, clips, or bolts. 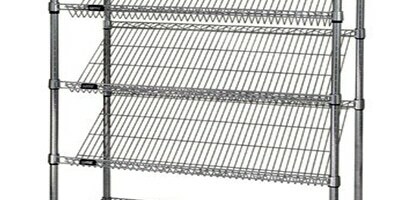 Boltless rivet shelving offers strength and durability with a variety of beam options to accommodate light to heavier loads. Post Heights of 6’, 7’, 8’, 10’, and 12’ are available. 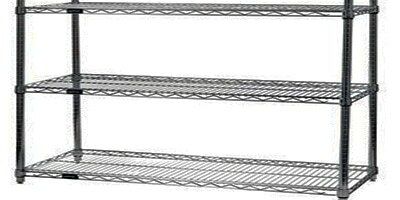 Beam lengths of 12″, 15″, 18″, 24″, 30″, 36″, 42″, 48″, 60″, 72″, and 96″ are available. 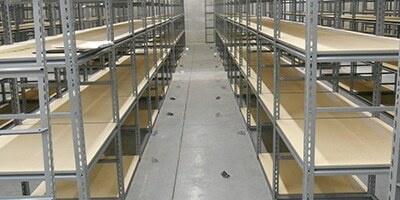 To view our in-stock used boltless rivet shelving, visit our used equipment page. 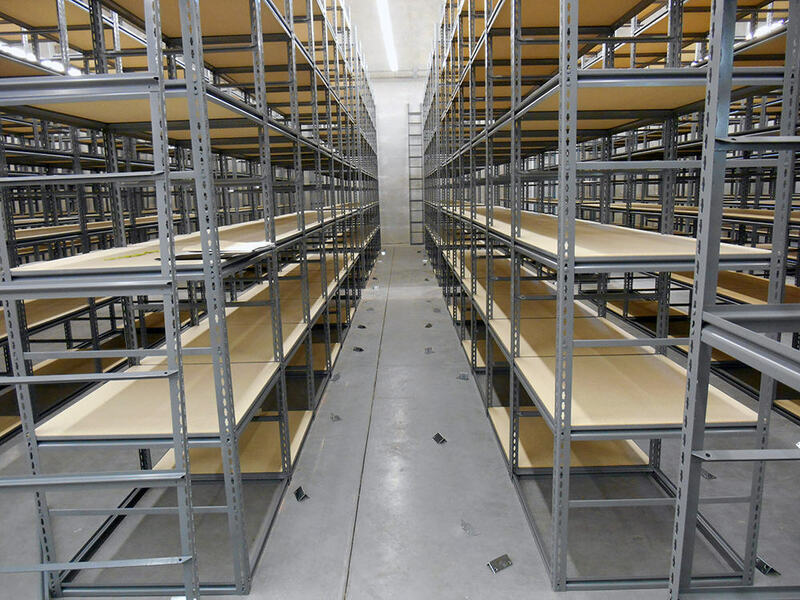 DO YOU NEED BOLTLESS RIVET SHELVING? 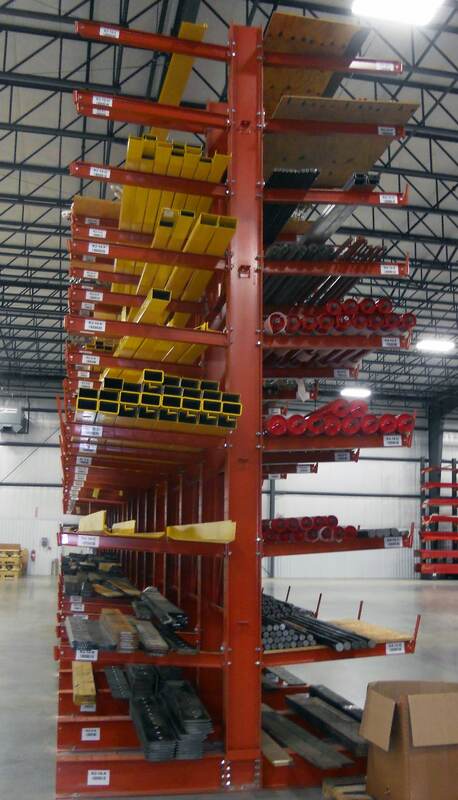 If you need a complete boltless rivet shelving system, we can help. 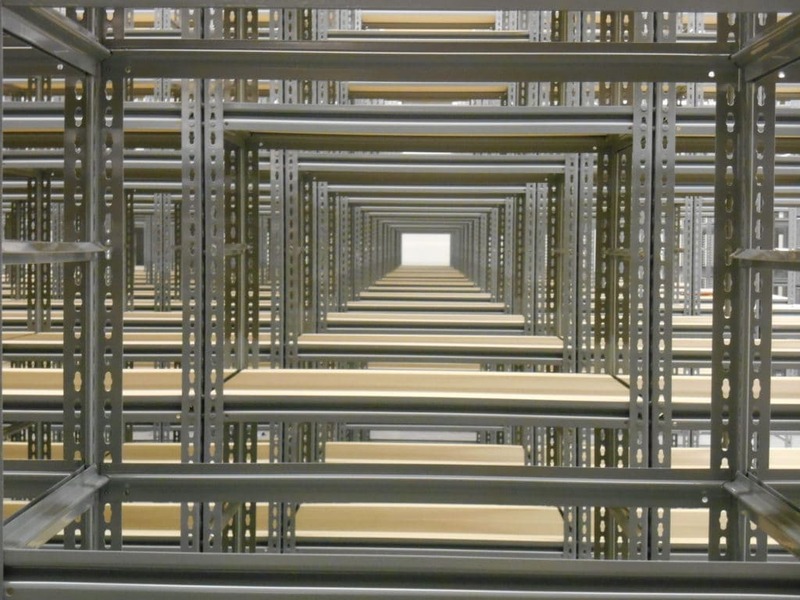 We've been creating boltless rivet shelving systems for more than 50 years.